Frostburg State University faculty and staff have surpassed FSU’s 2017 fundraising goal for the Maryland Charity Campaign for the second consecutive year and achieved the highest participation in FSU history. During 2017, the FSU community donated $20,727 to the campaign, 111.9 percent of the 18,527 goal. FSU faculty and staff also surpassed the 2016 participation rate, from 24.9 percent to 26 percent. University Police achieved a 100 percent participation rate, employees in the Stangle Building (Facilities) had the highest number of participants and Frampton Hall employees had the largest increase in contributions from the previous year. The Maryland Charity Campaign is a workplace charitable giving program that offers state employees the opportunity to contribute to charities using the convenience of payroll deduction. For more information about the Maryland Charity Campaign, visit mcc.maryland.gov. Members of the Steering Committee, leadership donors and top building captains met recently for lunch. Seated from left are campaign co-chairs Dr. Shakil Rahman and Jenn Fritz, along with FSU President Nowaczyk. 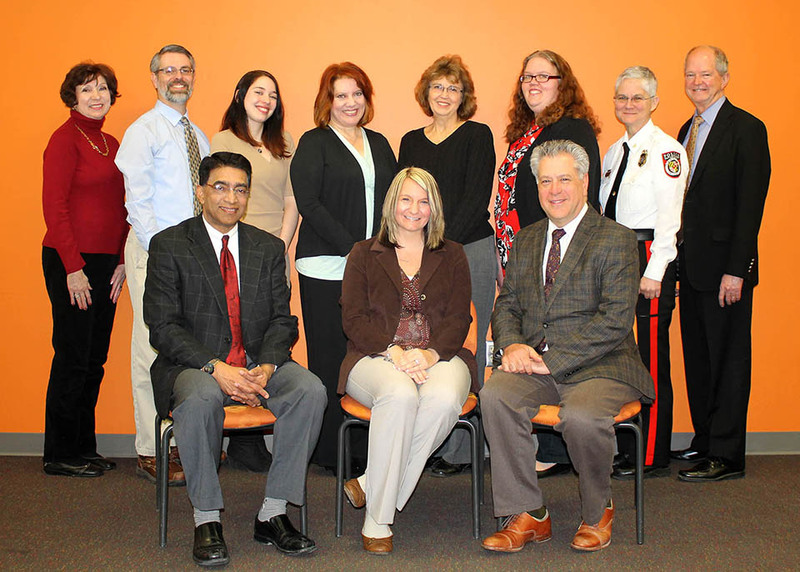 Standing, from left, are Linda Lewis, Justin Keel, Abby Shillingburg, Dr. Sandy Mahalko, Kathy Leck, Liz Nelson, Chief Cynthia Smith and Dr. Tom Bowling.